Cristiano Ronaldo has raced ahead in the battle to win the Golden Boot at the 2018 World Cup, with his hat-trick against Spain – the 51st treble in the tournament’s history – seeing him take top spot in the scoring standings after the first round of fixtures. The Portugal forward is now the 37/20 favourite to finish the competition as top goal-getter, but it is far from done and dusted with so many games left to play. 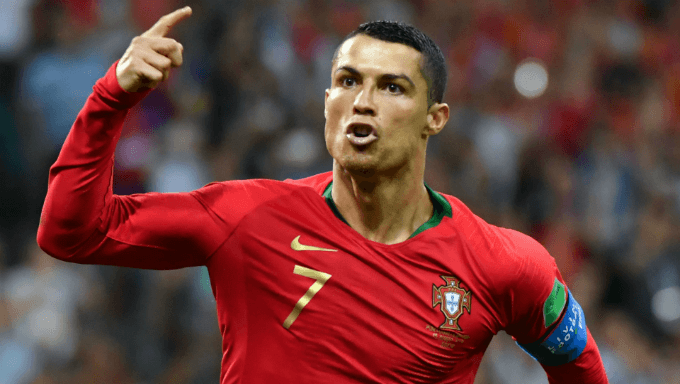 Ronaldo’s odds have shortened dramatically since his stunning treble against one of the pre-tournament favourites, but that means there is some excellent value to be found elsewhere – starting with a certain England striker. According to the bookmakers, Kane is most likely to challenge Ronaldo for the prize. The Tottenham Hotspur frontman struck twice against Tunisia to earn England all three points in their opening Group G game, with both goals coming from close range after one of the Three Lions’ centre-backs had won a header from a corner. Kane is a proven goalscorer and England showed in the first half of Monday’s match that they can create chances for fun when they are in the mood. Panama, one of the weakest teams in the competition, are up next for Gareth Southgate’s side, and that should provide Kane with a brilliant opportunity to further boost his tally. Lukaku also netted a brace in Belgium’s first game in Russia, with his two second-half efforts helping his side beat Panama 3-0. The Red Devils were underwhelming for the first hour of that encounter and question marks still remain over the team’s tactical approach under Roberto Martinez, but there can be no doubting the individual quality at Belgium’s disposal this year. It was that top-class ability in attacking areas which saw them score 43 times in qualification, and Lukaku will receive plenty more ammunition from the likes of Eden Hazard, Dries Mertens, Yannick Ferreira Carrasco and Kevin De Bruyne in the coming weeks. It is hard to imagine Belgium winning the World Cup, but Lukaku could easily scoop the Golden Boot this summer. Neymar endured a frustrating evening on Sunday, as five-time champions Brazil were held to a 1-1 draw by Switzerland. The Selecao started magnificently and were utterly dominant in the first 20 minutes, but the Swiss gradually gained a foothold in the game and found an equaliser early in the second half. Neymar was not at his sharpest at the Rostov Arena, although the close attention he was paid by the opposition defence and midfield – he was fouled 10 times – did not make it easy. Brazil are built to get the best out of the Paris Saint-Germain man, though, and he could easily grab a hat-trick against either Costa Rica or Serbia. Much like the other heavyweights, France were not completely convincing in their opening game – although unlike Brazil, Germany and Argentina, they found a way to win. Griezmann got them up and running from the penalty spot against Australia, a match in which Deschamps’ side had to work extremely hard to collect three points. A front three of Griezmann, Kylian Mbappe and Ousmane Dembele did not really work, so expect France to introduce Olivier Giroud in place of the latter going forward. That should help Griezmann, who has always enjoyed playing with the Chelsea frontman, and the fact Thursday’s meeting with Peru should be an open encounter will play into the hands of the striker. Griezmann was the top scorer at Euro 2016 despite failing to score in the hosts’ first match, so he is certainly capable of closing the gap on Ronaldo. Uruguay were made to work hard for their victory over Egypt on Friday, when Jose Gimenez’s header broke the deadlock in the 89th minute. It may have taken them a while to get on the scoresheet but there were many pleasing elements to La Celeste’s possession play, and they would have taken the lead earlier had Luis Suarez not been uncharacteristically wasteful inside the penalty area. His strike partner Cavani was Uruguay’s standout attacker on the day, and it could be worth a small wager on him winning the Golden Boot. Saudi Arabia are up next for Oscar Tabarez’s men, who will also fancy their chances of beating Russia in their final group game. Suarez is also available at 40/1 with top soccer betting sites, but Cavani’s performance on Friday makes him Uruguay’s best hope.